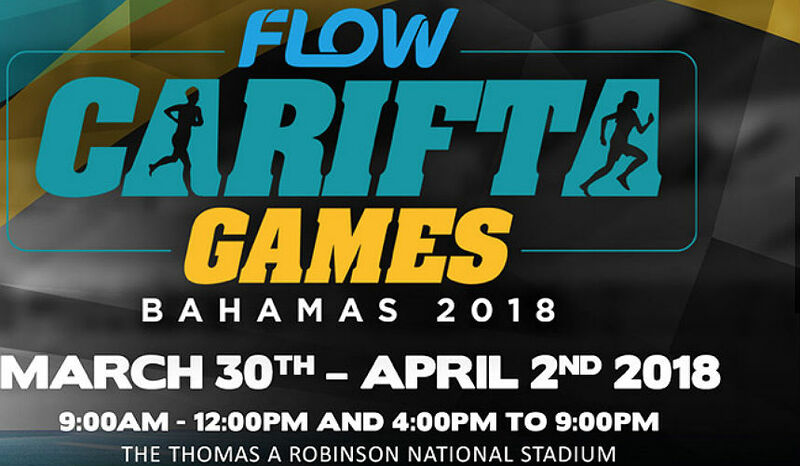 NASSAU, Bahamas — Watch live streaming coverage of the 2018 Flow Carifta Games on your mobile phones, online and via the Flow Sports Mobile App from March 31 to April 2. The Carifta Games have served as a platform for many of the region’s notable world-class athletes, including Usain Bolt, Veronica Campbell-Brown, Shaunae Miller-Uibo, Pauline Davis, Yohan Blake, Omar McLeod and Kirani James and Flow is hoping that its continued support will pave the way for future champions. Flow has been the title sponsor and exclusive broadcast partner of the Carifta Games for the last three years and the company is pleased to announce that it will now make mobile access available to everyone, including users who are not yet Flow TV customers. All that’s required is a Flow mobile sim card that’s linked to a Flow ID account. Consumers who do not yet have a Flow ID should visit www.flowid.co and simply click sign-up to activate. Fans across the world can also follow the 2018 Flow CARIFTA Games via the Flow Sports website at www.flowsports.co. Opening day coverage at the Thomas A. Robinson National Stadium in Nassau, Bahamas, will start at 9:00 am ET on Saturday morning with the Day One morning session, while the evening session begins at 4:00 pm. “Caribbean viewers at home or on-the-go are the biggest beneficiaries of Flow’s broadcast deal with the North American, Central American and Caribbean Athletics Association (NACAC), the organisers of the Flow CARIFTA Games,” said Garry Sinclair, president of the Caribbean operations of Cable & Wireless Communications. It also doesn’t matter where they are, as they can enjoy a front-row seat to one of the greatest junior athletic meets in the world,” added Sinclair. will the carifta games currently being held in the Bahamas available on line, even if it is for a fee?